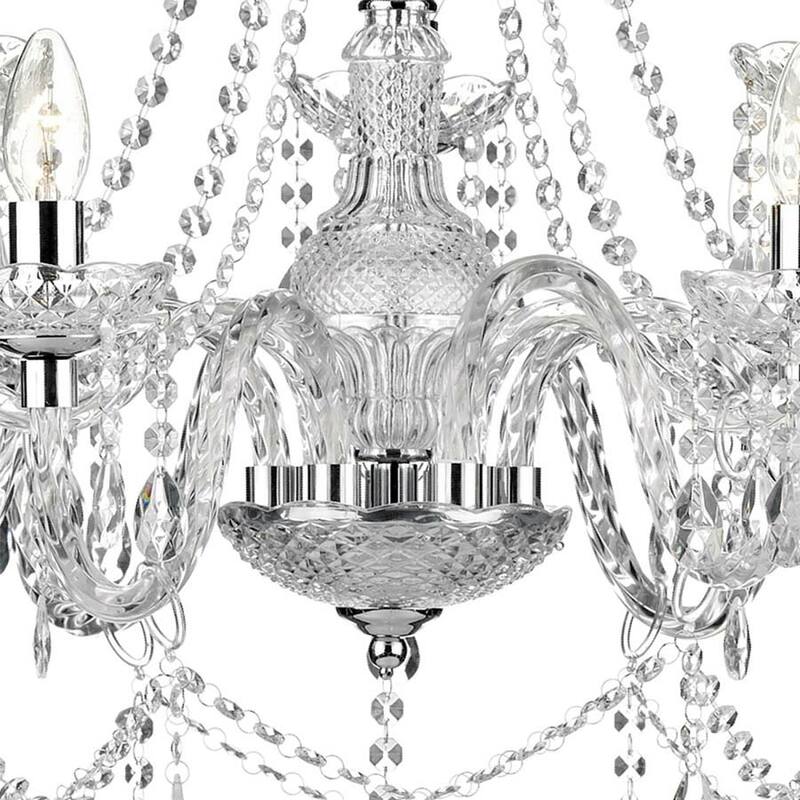 A traditional chandelier in the Marie Therese style with a polished chrome ceiling mount and chain, central decorative glass encased column and nine double curved barley twist acrylic arms, all decorated with masses of pear shaped glass drops and beads. Three of the lamp holders sit higher than the other six giving the impression that this fitting has two tiers. The lamp holders are fitted with removable glass sconces and chrome candle tubes. 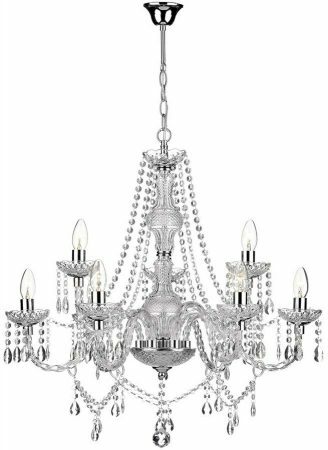 This elegant ceiling light is sure to add a sense of luxury and style when fitted. Height adjustable at the time of installation by reducing the supplied two meter chain length, minimum height 58cm, maximum 258cm. 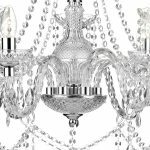 Other products in the Katie crystal lighting range can be viewed below and include a very large eighteen light chandelier, five and three arm fittings and a twin wall light.